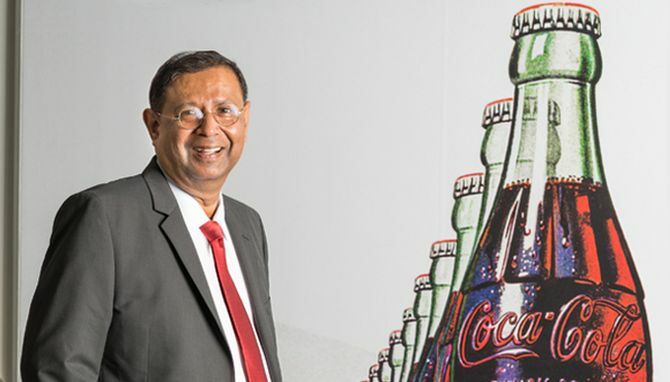 Since he took over as president of Coca-Cola’s India and Southwest Asia business a year ago, T Krishnakumar, popularly known as KK, has focused on bringing agility to the company amid heightened competition. After cutting down the product incubation process significantly to 12 weeks, Coke is now launching the first product - Aquarius Glococharge. After posting growth in the past few quarters, are you now looking to expand the portfolio in non-fizzy categories? We concentrated on driving growth in our core business during the second half of last year. The business segment has a strong backing of our established bottling operation that drives large volumes. So, as our core brands like Thums Up, Sprite and Maaza are now in good shape, we are looking at expanding the product coverage. Are you considering M&A to grow your business outside the core areas? Acquiring a brand is sensible when it adds value and comes at the right price. But most of the local brands are highly priced at the moment. We have looked at small companies but their valuation is too high in comparison to the extent of value they could offer to Coca-Cola’s portfolio. Also, most local brands lack the quality standards that are required before incorporating them into the Coke system. This further escalates their effective price. Thus, effectively M&A is not a very attractive proposition for us right now. Are new launches an effort to cover the crucial price points that got vacant of late? In the local market for FMCG, close to 70 per cent of retail transactions happen in the less than Rs 20 price band. So, it is very important to be present at the critical price points to bring new consumers on board. Also, these price points cater to the lower end of the pyramid - both in rural and urban markets. The new products - Minute Maid Vitingo and Aquarius Glucocharge - have a purpose of strengthening Coke’s presence among consumers who cannot afford to spend more than Rs 5 or Rs 10. Going forward, we will further expand these products. Also, to push our sparkling beverages in this market, we have been aggressively installing splash bars in recent months. While 65,000 dispensing machines are already installed, we will continue to add to the number. We estimate these measures will boost new customer addition by 5 to 7 per cent. Are you phasing out your dairy brand Vio? We have not phased out Vio. Rather, the next set of product launches will be under our dairy segment. Earlier we tried with a few products and have learned from the market. Currently, three to four product formats are in the incubation. The new products will be placed under our existing dairy brand. Competition from regional players has touched new heights and they have grown using your in-shop infrastructure like refrigerators. Are you planning to take harsh measures? Yes, you can call it an occupational hazard. We can stop that if we want to, but we do not want to take any abrupt steps. We have over one million cooling units installed in the market - far more than by other entity - and that has a positive impact on the livelihoods of the retailers. It is a huge strength for us. I expect competition will be robust unlike earlier when only two strong players used to dominate the market. It’s a tough business. But ultimately consumers will choose the winner.